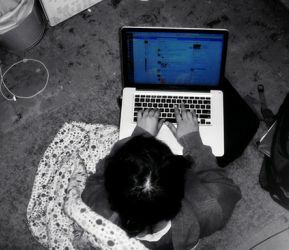 Are Your Friends Facebook Stalking You? ​Facebook has now made it even easier, yet again, to creep, stalk, and investigate (whatever term makes you feel better) all of your “friends.” Over the years Facebook, and other social networking sites, have come under intense scrutiny for redefining the boundaries of privacy. While many people question what exactly is appropriate to put on the internet for all to see, most Facebookers are not as concerned. People post incredibly personal things, ranging from what they ate for breakfast to who their boyfriend cheated on them with. While you may not put up every thought for the world to see, sometimes you may want to do a little stalking yourself! Ever wonder who one of your “friends” talks to frequently on Facebook? They have made a neat new Home Page, otherwise known as the Timeline, to organize stories they think you would be most interested in. This is another great stalking tool from Facebook, except they have already managed to top themselves! When on a particular friend’s page, click on their “Friends” page. Here they have made your creeping even easier. A list of their friends will automatically come up, organized in alphabetical order. However, there is a small ‘grid’ icon on the top right corner next to the search bar. By organizing the list by grid, the order changes. While at first glance it may look like an arbitrary or accidental list, it is not. This list is organized by how much interaction a given set of friends has with each other. So while stalking your boyfriend or girlfriend, make sure his/her ex isn’t very high up on that list, or you’ve got problems! According to a spokeswoman for Facebook, the Friends page will list the people with whom you have the most interaction with – including pictures, wall posts, comments, and mutually attended events. However, they do not take into consideration whose profile you view, or who you communicate with via chat or messages. This little tool is just another way Facebook connects you with friends, whether you want to be connected or not! Use this tool to see who you have the most interaction with, it might surprise you!